Following the complimentary consultation, you will be given an opportunity to undergo a complete chiropractic examination. 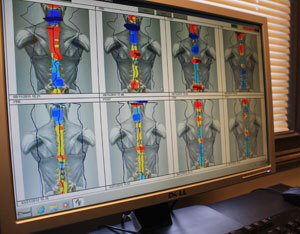 It includes a complete set of radiographs to detect any structural shifts, a dynamic video x-ray of the spine, two structural thermographic spinal scans, a follow up conference with with the doctor to review the findings and discuss care options, and your first corrective chiropractic adjustment. Our office is equipped with the latest x-ray technology, allowing us to see a DVD recorded video of your spine in motion!